Madden NFL 19 was released 6 months ago and Electronic Arts still can’t seem to figure out major glitches on the PlayStation 4 and Xbox One consoles. Reports of plays that make absolutely no sense have accelerated over the last few months leaving many gamers bewildered as to what is happening with EA’s simulation football franchise. In the clip below from Madden 19’s Ultimate Team game mode, we see all kinds of things that make no sense happening. Michael Vick throws a long pass to Randy Moss for a long gain. If the play stopped at that point, everything would be fine. Instead, Randy Moss is tackled by 2 defenders, lays on the ground for a second, gets up does a full celebration, a defender attempts to tackle him again but instead goes right through his body, and then the receiver casually jogs into the endzone for a touchdown. These are the types of plays that while humorous, can lead a player to stop playing a game. There are plenty of examples of similar but completely unrelated plays that make absolutely no sense. In the above video, a player is down 28-7 and throws a touchdown pass on 2nd and Goal from the 5-yard line. Instead of getting 6 points and the chance at an extra point, he is instead awarded 0 points and moved back 75 yards with a fresh set of downs. The next play features a routine 5-yard run that turns into a long touchdown run for absolutely no reason at all. These plays defy everything we have ever been taught about football and all of the above plays are just a sampling of what was posted on Twitter in just the last 2 days. As sad as it is, most Madden fans fully expect ridiculous glitches when the game is first released in August and September. After all, who can resist laughing when watching this video from earlier in the year when Madden 19 was first released. What is funny in August can quickly turn infuriating by February. EA has released title updates to Madden 19 every month since the release yet these inexplicable glitches not only continue to happen but seem to be accelerating. That’s a lot of title updates not to address core gameplay issues. 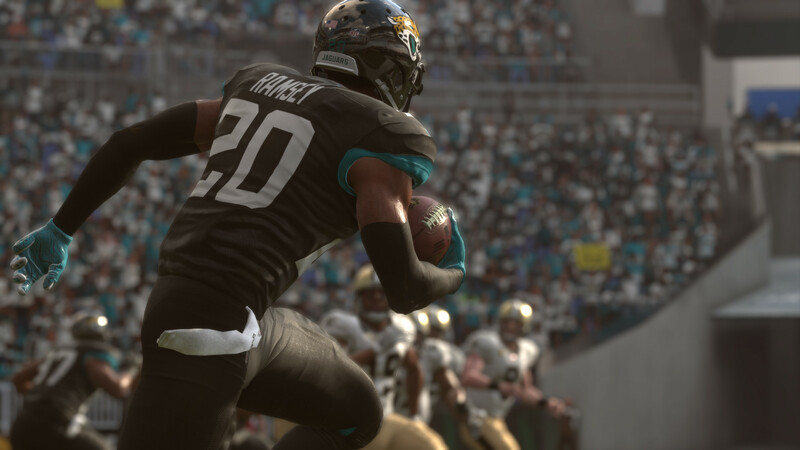 Here are some of the must-have improvements that EA released via patches this season. Sure, these are all things that add to the game and that some fans asked for but they should never be prioritized over providing a product with stable gameplay. The video game landscape is as competitive as ever. Engaging games like Fortnite and Apex Legends are vying for play time. Streaming services are investing billions into original content. Most of the developed world has a phone in their pocket with an entire library of mobile games at the touch of a screen. Gamers can no longer be expected to continue playing games with outcome-altering bugs in 2019.